Leave it to the British wit to, once again, top the list of great April Fools Day jokes. From the ‘available for one-day only’ invention of Interp-Brit, the brilliant app that allowed confused viewers the ability to switch from British to U.S. dialogue for their favorite British comedy or drama at the touch of a button or the discovery by the BBC’s Panorama series of a bumper spaghetti harvest in Switzerland to a Swedish author’s discovery of a long lost 13th episode of Fawlty Towers, the greatest 12-episode British comedy of all-time, to perhaps the greatest discovery of all with former Python member Terry Jones happening on a colony of flying penguins, the great minds of the UK struck again on April 1, 2019. This year’s top effort goes to The Telegraph with their in-depth and very timely report on the UK’s banning of April Fool’s Day jokes amid fears of panic buying over Brexit. According to the paper, jokes would be banned this year under an archaic parliamentary order, amid warnings the public can no longer tell the difference between reality and farce. The original 1653 statute which was imposed by Oliver Cromwell stated that the issuing of false reports is strictly prohibited and punishable by the splitting of an offender’s ribs. Oddly, the measure was technically never revoked or overtaken in the statute books, it has been revived by Cabinet Office Minister Lord Japes under a statutory instrument of the EU Withdrawal Act, the emergency legislation that underpins EU exit. In response to the uneasiness over what Brexit actually means the Cabinet Office deemed it necessary to take the unusual step of asking media outlets to refrain from publishing the traditional stories on April 1 in case they trigger panic buying or spark riots. 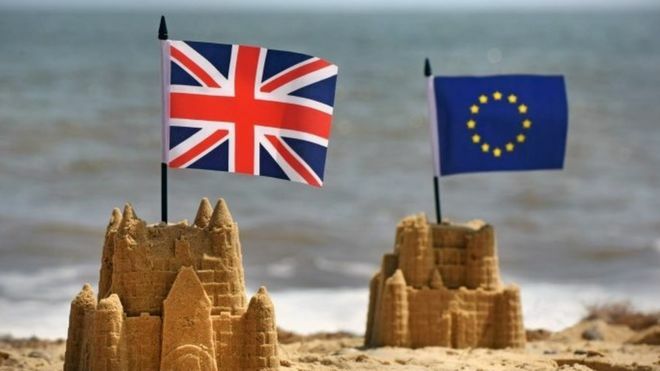 With April 1 due to have been the first full business day in Britain following the originally scheduled Brexit on March 29, no one really knew what might have happened had April Fools Day and Brexit met head on. Erring on the side of caution, the Cabinet Office jumped to the forefront. On the upside, it’s now April 2 and all seems to be ok in the UK thanks, in part, to Oliver Cromwell and a very archaic 1653 statute. BBC's Panorama reports on bumper Spaghetti Harvest in Switzerland! 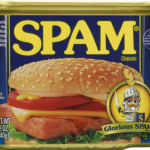 Spam — Monty Python’s favorite mystery meat turns 80! 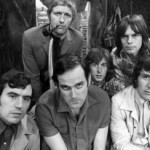 Pythons reveal favorite modern comedies…. Ever wonder where THE Monty Python foot came from? 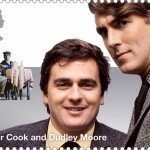 A British comedy world w/out Python?